That’s because a state constitutional amendment passed over a decade ago requires the minimum wage to keep up with a cost-of-living measure called the Consumer Price Index. 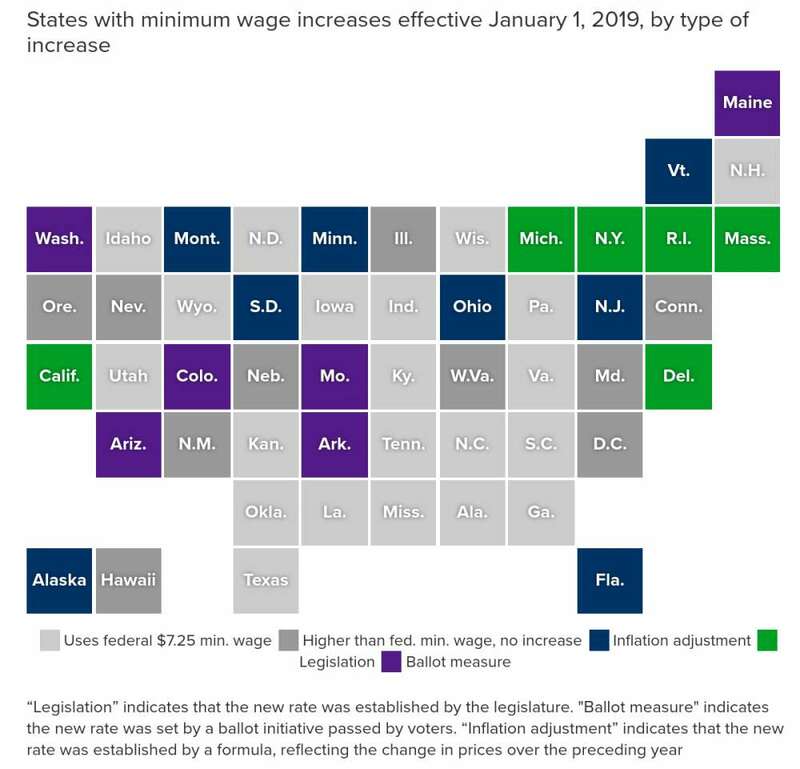 In economist-speak this is called “indexing to inflation.” Ohio is among several states that also index their minimum wage to inflation including Alaska, Florida, Minnesota, Missouri, Montana, New Jersey, and South Dakota, according to the National Conference of State Legislatures. “If the cost of groceries, gasoline, housing, goes up by X percent, the minimum wage that following year is going to go up by that same percent,” said Ben Zipperer, an economist at the progressive Economic Policy Institute. The goal of indexing, Zipperer said, is to prevent workers at the lowest end of the income spectrum from falling behind as the cost of living rises. Assuming a 40-hour workweek, this year’s 25 cent raise adds up to approximately $43.33 per month before taxes for Pettis. Asked whether she feels she is getting by on her current income, Pettis shrugged. After bills, groceries, and chipping in for her father’s medical expenses, she said she is “barely” making it. Not only does she have trouble meeting basic expenses, Pettis said, but those basics are also getting more expensive. According to the Bureau of Labor Statistics, the consumer price index increased by about 2.2 percent between November 2017 and November 2018. Still, Zipperer said, a law that essentially guarantees a yearly cost-of-living raise may be better than leaving it up to state or federal legislatures, which he argued may be too slow to respond to inflation each year. Indeed, the federal minimum wage has been stuck at $7.25 since 2009. “The minimum wage is going to keep on increasing, and we should try to keep it up with the cost of living,” said Alex Gleason, manager of a bar in Cleveland’s Ohio City neighborhood called the Old Angle Tavern. Gleason said he currently pays his employees more than Ohio’s minimum wage, so if the wage floor only increases a couple of percent every year, it will be a while before his business feels any pressure. His bigger concern, he said, are the calls for a $15 minimum wage at the state and federal levels. According to the progressive think tank Policy Matters Ohio, that would mean a raise for about 1.8 million Ohio workers, many of whom have children. But Gleason says it would be tough on the service industry. A wage hike that large could also hurt employees, said Aparna Mathur, a resident scholar at the conservative American Enterprise Institute. “You could find those employers are now less likely to hire new minimum wage workers,” Mathur said, “or they're less likely to keep existing workers on the job.” Or employers might decide it will cost less in the long run to replace those workers with machines. A better way to help lower-income workers, Mathur said, would be to expand the earned income tax credit. While an indexed minimum wage can help prevent low-wage workers from losing a certain standard of living, Zipperer, from the Economic Policy Institute, said these policies don’t address a more fundamental question: What if the minimum wage, even with yearly increases, is not enough for a person to live on? For instance, according to MIT’s Living Wage Calculator, a single adult in Ohio needs to earn about $10.47 per hour to stay just above the poverty line. Currently, the state’s minimum wage of $8.55 is nearly $2 short of that. Nevertheless, the District of Columbia plus several states including California, Colorado, and Maine are planning to adopt indexing in the coming years. With 56.5 percent of moves in Ohio being outbound, the state has landed at No. 6 on a National Movers Study of Most Moved From States in 2018, up a spot from 2017. 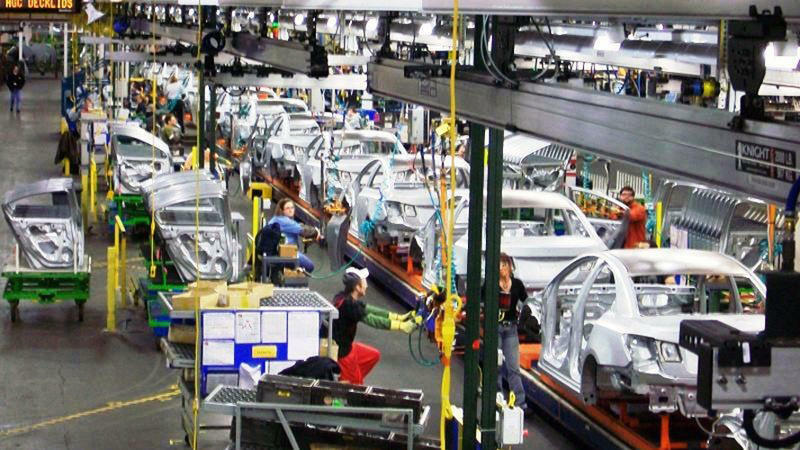 The number of Ohioans who lost their jobs in "mass layoffs" was higher in 2018 than the year before. Generally speaking, when a company with more than 100 employees decides to lay off 50 or more people, a federal law known as the Worker Adjustment and Retraining Notification Act (WARN) considers that a "mass layoff." But before that can happen, an employer must provide employees with at least 60 days written notice. According to the U.S. Bureau of Labor Statistics, employment of computer and information technology (IT) occupations is projected to grow 13 percent from 2016 to 2026, adding about 557,000 new jobs to the economy. This increased demand poses a staffing challenge to businesses while providing an opportunity for those looking for an entry into a career with a higher-than-average starting salary and greater potential for increased future earnings.